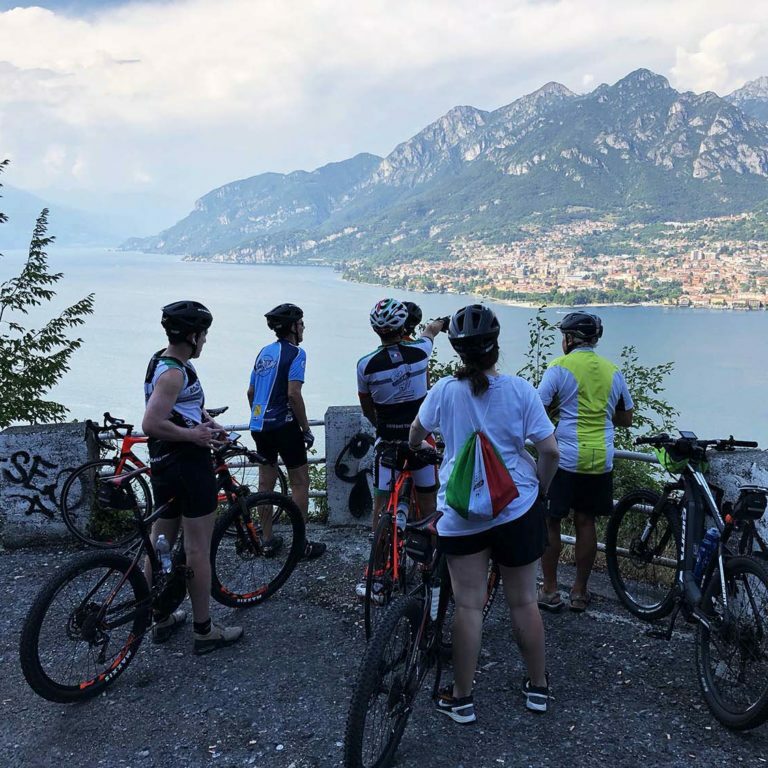 Special and memorable bike tour,around the largest and most beautiful pre-alpine lakes: Lake Maggiore, Lake Como and then Lake Iseo. 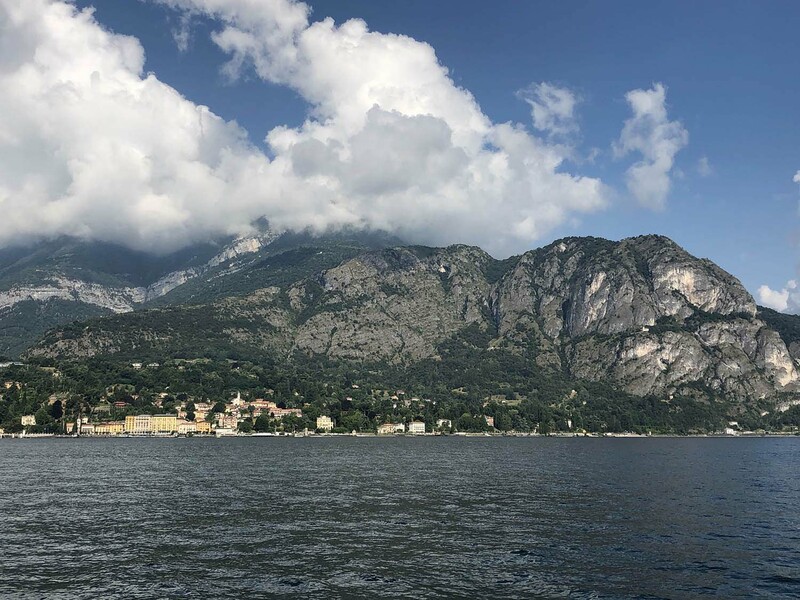 This trip by road bike allows us to explore these splendid Italian lakes with their picture postcard scenery, but also takes us through the nearby hills and valleys, well off the beaten tourist track. Overnight in Exclusive Accommodation. 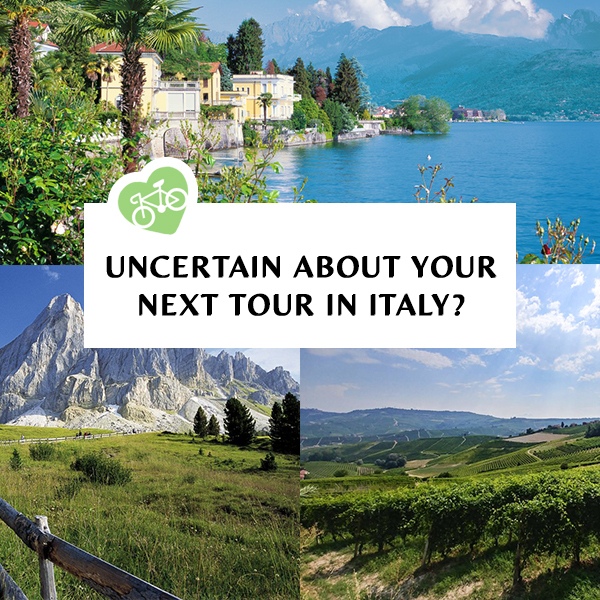 We will have the opportunity to take routes that wind through places where nature is still unspoiled, where history seems to stand still, cycling through valleys and mountains in picturesque settings where peace and tranquility reign . Tiny villages and impressive mansions … the lakes offer us splendid landscapes. 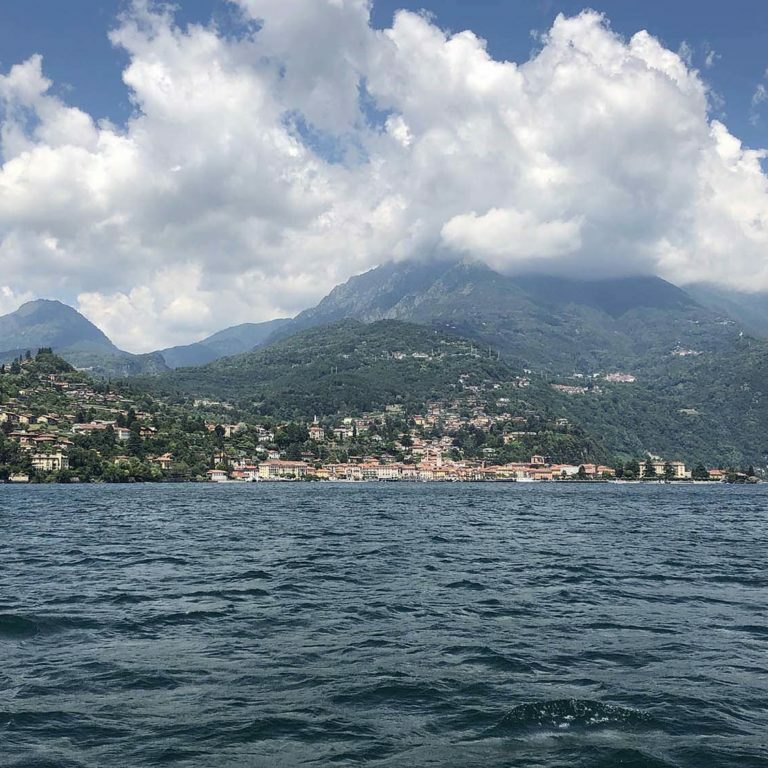 The final stop on our tour will be Montisola, on Lake Iseo, recently the setting for ‘The Floating Piers’ by the artist Christo. 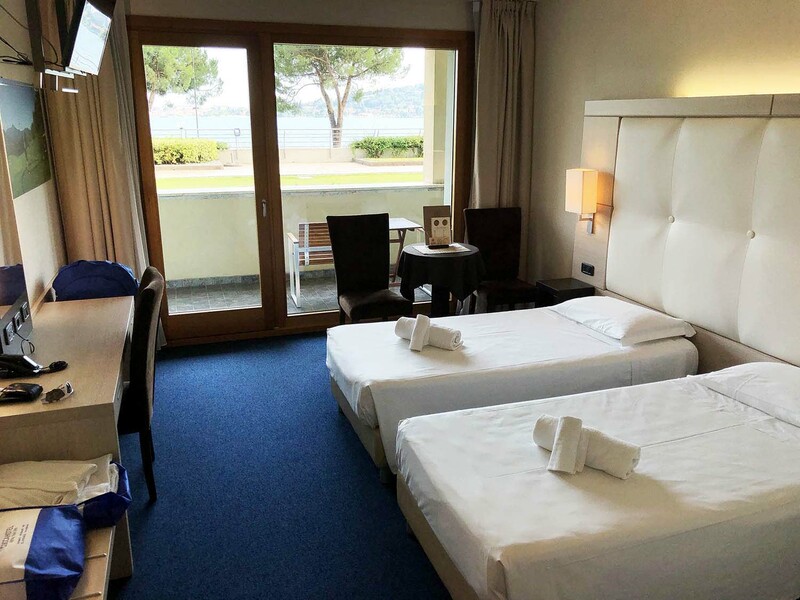 Accommodation has been inspected and chosen personally by our staff and, together with the excellent dinners based on local products, complement our road bike trip, without forgetting the reassurance provided by the constant presence of our minibus and technical support. 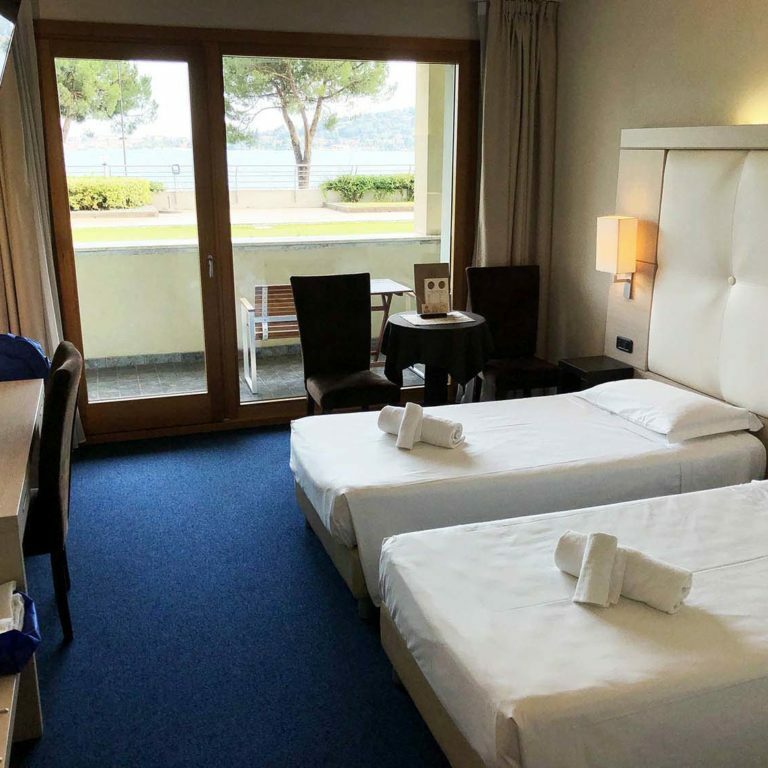 Departure from Arona, Piedmontese town on the shores of Lake Maggiore. 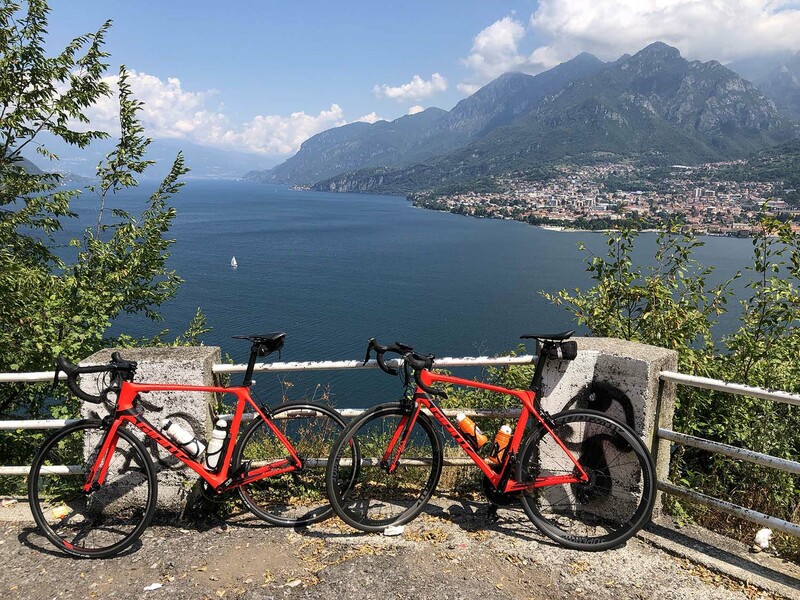 We ride along the entire perimeter of the lake and then get ready to face the Val Cannobina ascent. 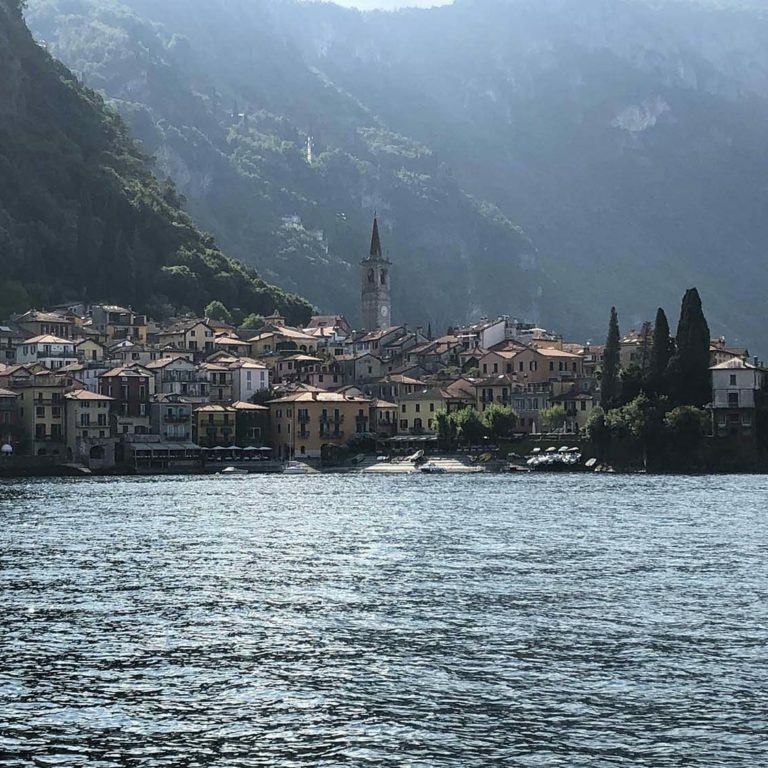 From the lake we go up to Sella di Pian di Sale which leads to the Val Vigezzo where the Cannobino stream forms deep gorges and creates evocative scenes, with the valley opening up as we ride higher. 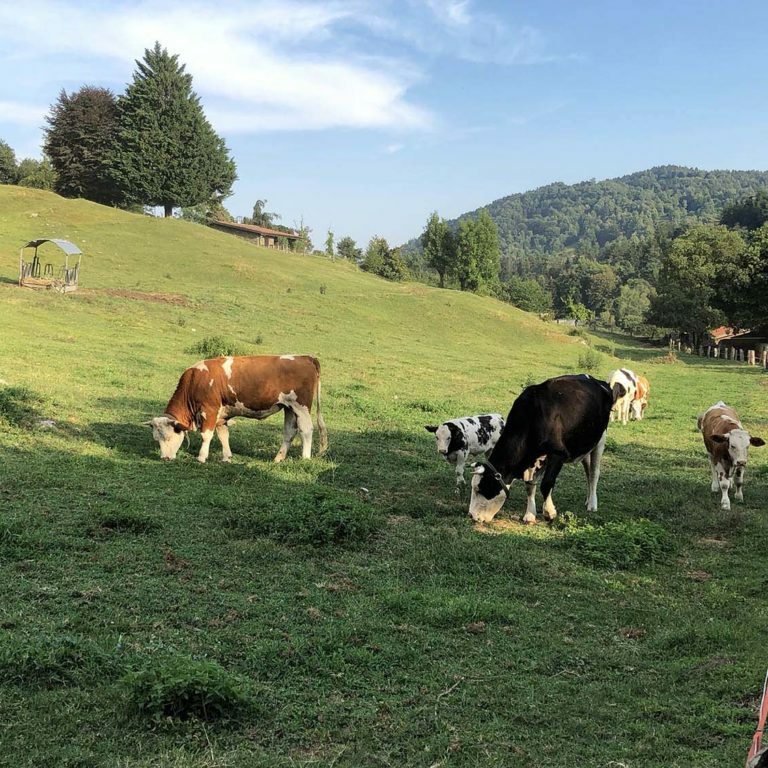 In Val Cannobina with its mountains, alpine farmsteads and pastures, we ride back in time: this wild and almost deserted valley is perfect for cycling. And there’s no need to worry about the climb because our minibus is always nearby, so we can relax as we ride through the splendid mountains of Val Vigezzo, with its green forests and evocative atmosphere all year round and, not surprisingly, it is also known as the “Valley of Painters”: portrait and landscape artists used to come here in search of inspiration. 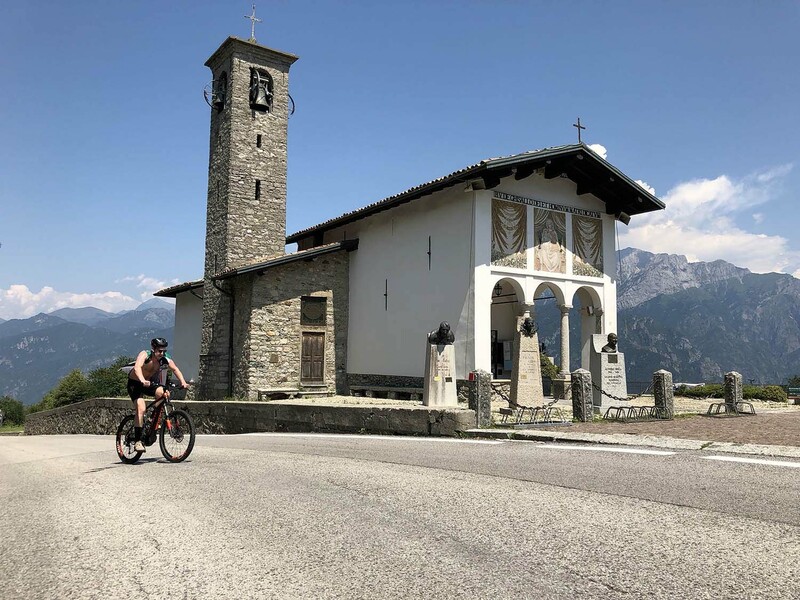 Pedaling onwards we then reach the largest and most important town in the valley: Santa Maria Maggiore, a historic village situated on a high plain at just over 800 m a.s.l. Time to relax before dinner together. After a nourishing and tasty breakfast “on your bikes” for a long but easy ride. 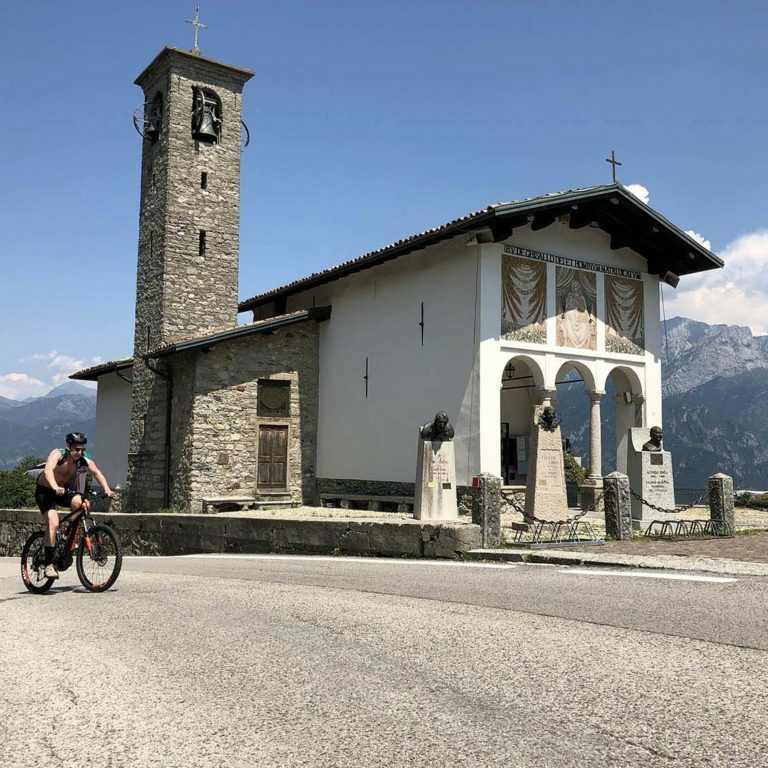 After riding through Re, the last municipality of Val Vigezzo we enter Switzerland in the Canton Ticino, heading for Borgnone, then down towards Losone to reach the city of Locarno, situated on the north shore of Lake Maggiore. 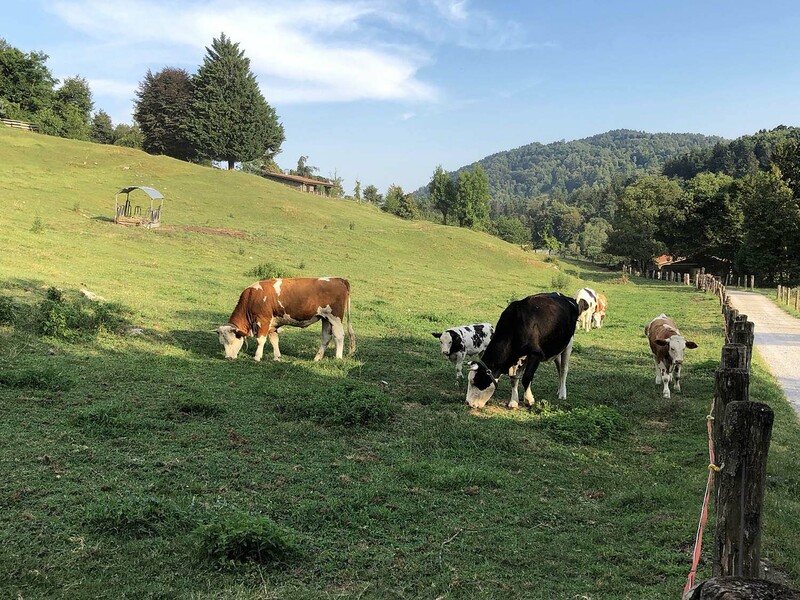 After our visit to Switzerland we head back into Italy from the small and charming village of Tronzano in the province of Varese. 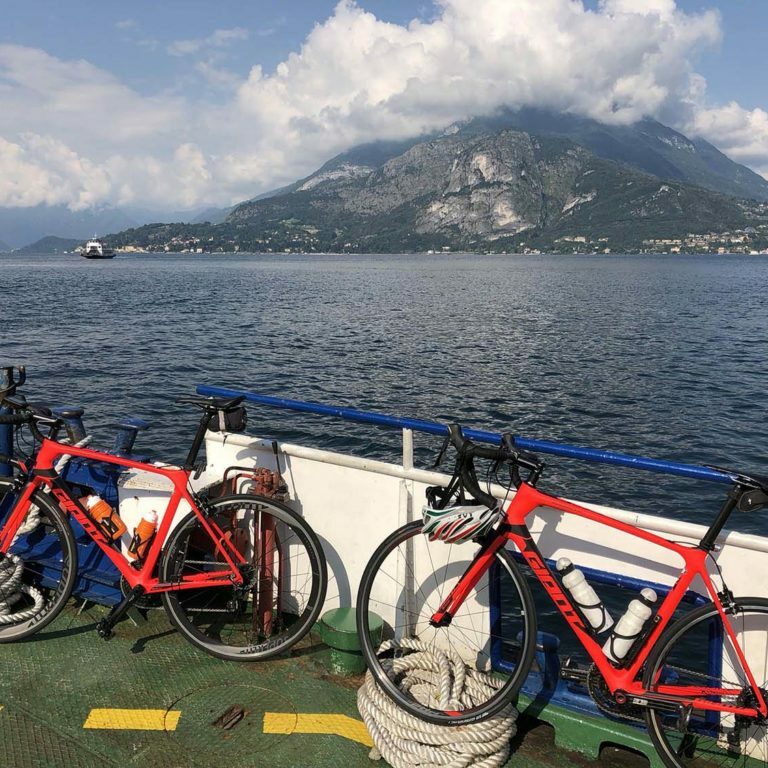 Heading for Luino we then continue along the lake for the last part of our ride to Laveno-Mombello. This important town on the eastern shore of the lake is well-known for its marina. 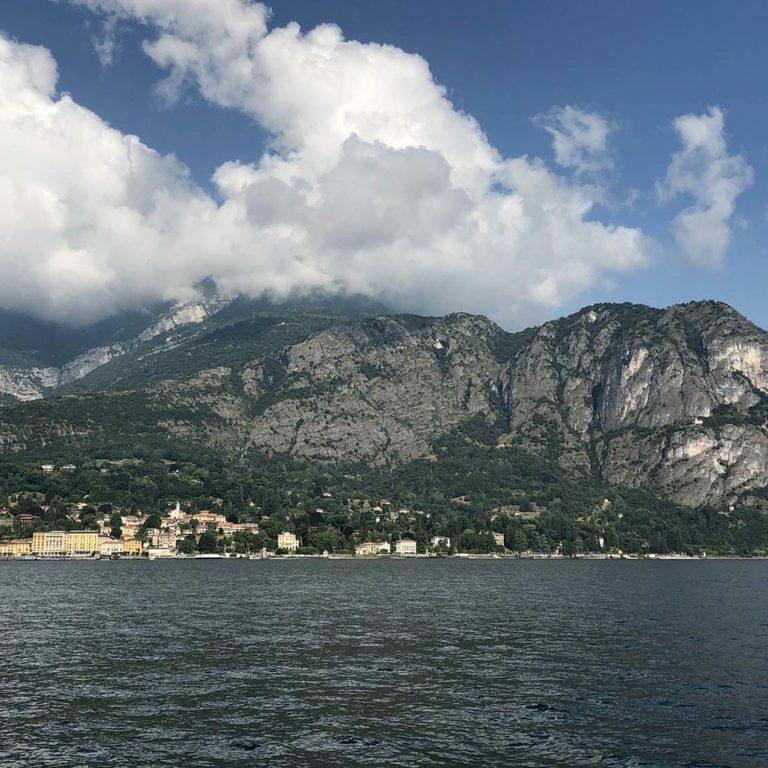 Monte Sasso del Ferro, the mountain above the town, can be reached by cable car, and has one of the best views of the lake, as well as a popular starting point for paragliding. After meeting for breakfast we leave by minibus for the short transfer to Lake Como. 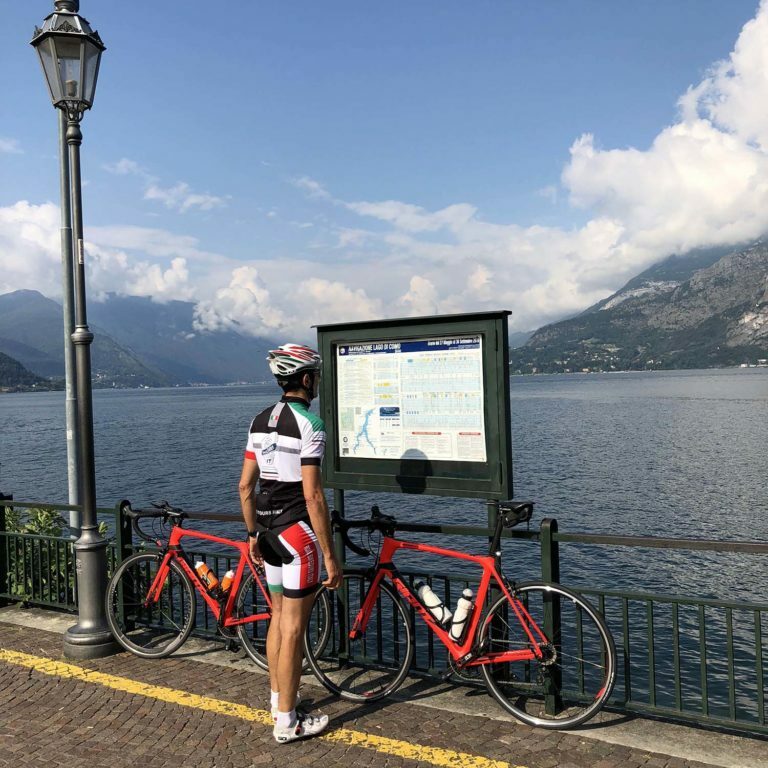 Then we will get back on our road bikes in Cernobbio, renowned tourist resort on the western shore of the lake, and ride along the lake to Argegno. Here, the Val d’Intelvi ascent is waiting for us: a mountain valley in the province of Como near the Swiss border with San Fedele at 779m a.s.l. 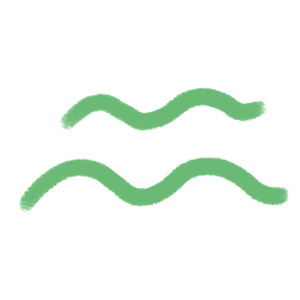 its main town; nearby is the summit of Monte Generoso surrounded by unspoiled nature that makes an imposing landscape. 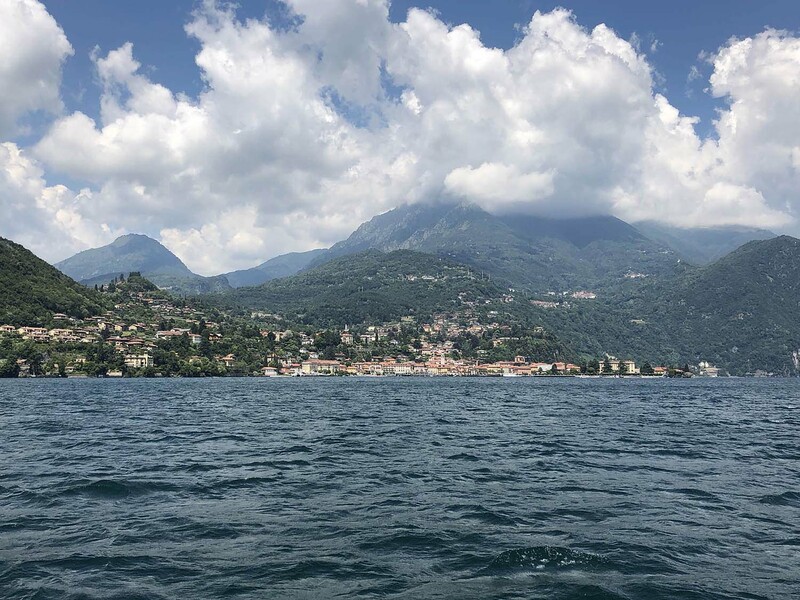 Leaving the mountains we go back down to the lake to Porlezza, an important tourist resort on the shore of Lake Lugano. 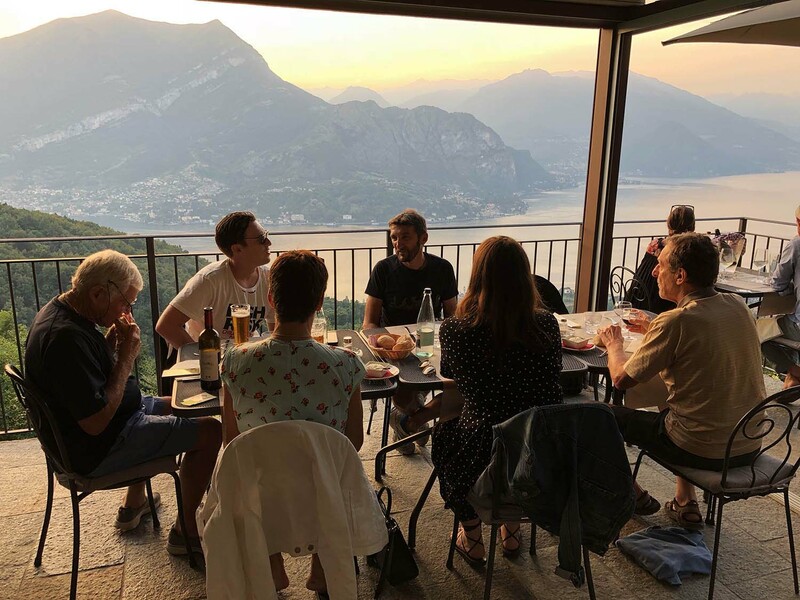 We continue downhill until we return to the western shore of Lake Como in Menaggio, with a superb view of the lake. Riding along the lake we end our day’s ride in Dongo, where we can enjoy the lake scenery and surrounding landscape. 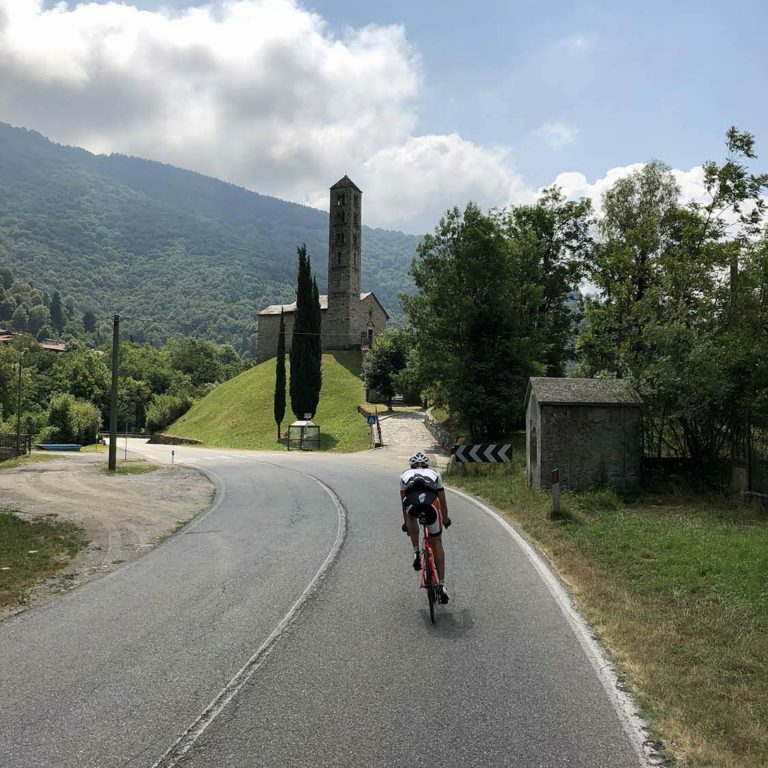 We leave from Dongo and, following the road along the lake, we ride through Colico Piano on the eastern shore of the lake, with its “4 Montecchi” – small hills near the lake. 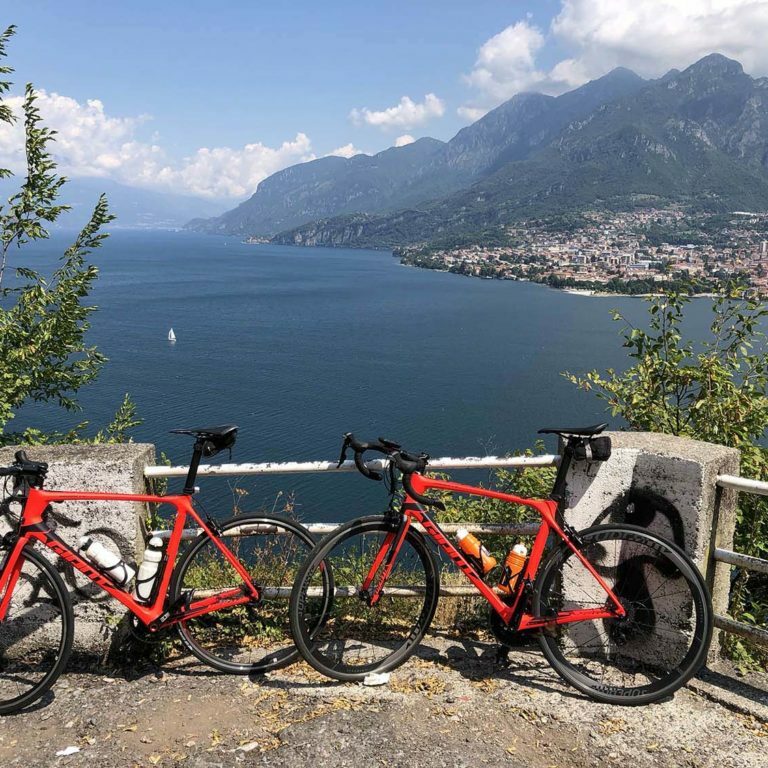 Our road bikes take us in Varenna where a ferry transfer us in Bellagio, here we deal with the challenging ascent that leads to the sanctuary dedicated to the Madonna del Ghisallo, the patron of all of us cyclists. 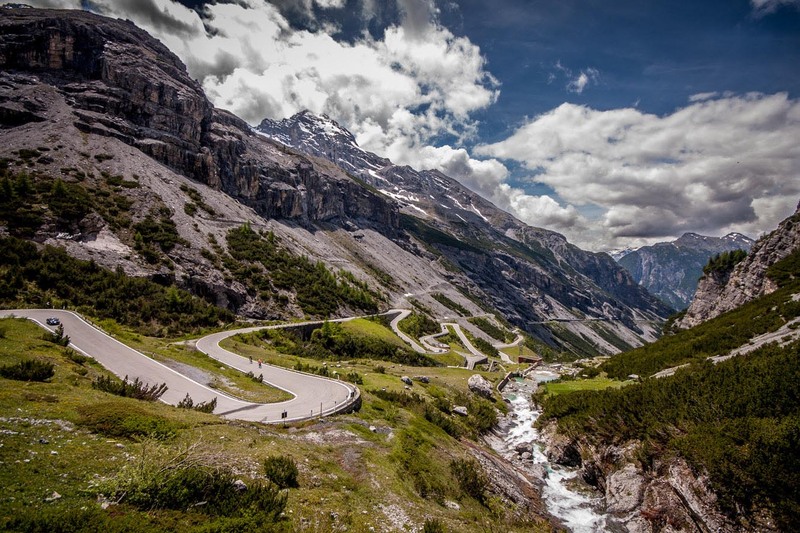 Those in the know believe that the Ghisallo, for the “Tour of Lombardy” is like Grammont for the Tour of Flanders. 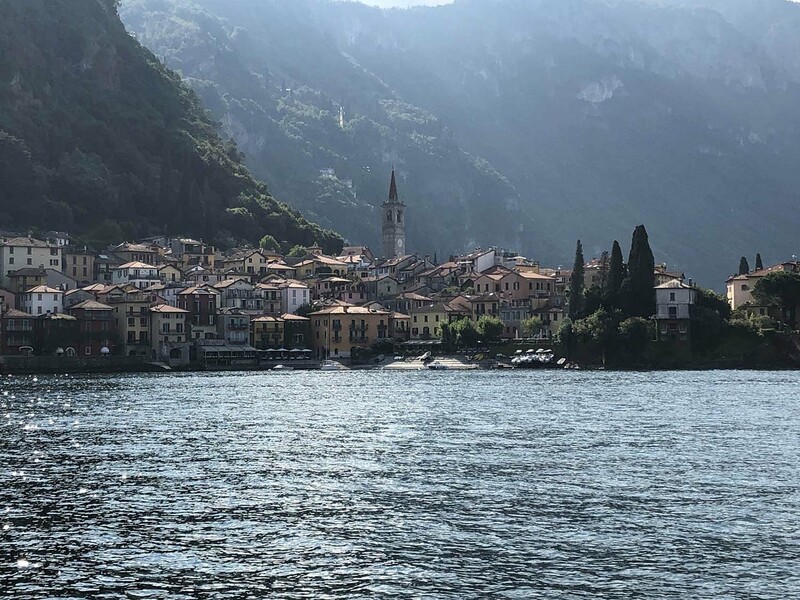 If you feel up to the challenge, as always accompanied by our guide, you can ride up to the sanctuary, otherwise as an alternative in just a few kilometers, you can reach our final destination for the day: Bellagio, one of the most beautiful towns of the lake with its splendid views. After breakfast transfer by minibus to Lake Iseo where we will start the day’s ride in Sarnico. This pre-alpine lake with its characteristic “S” shape is in both the province of Brescia (east side) and that of Bergamo (west side). 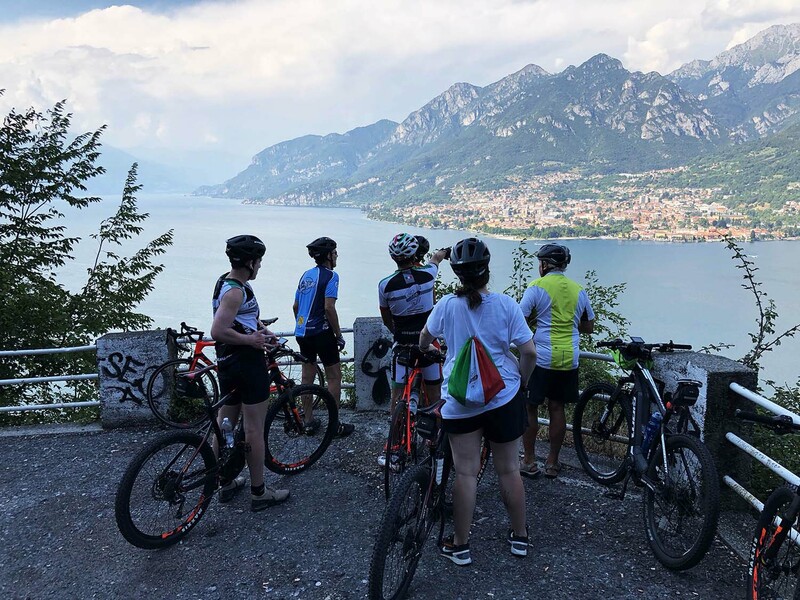 Pedaling clockwise we will go through Predore and Riva di Solto and, riding along the lake, soon reach a stretch of road from where you can admire the small beaches and old lakeside road dating back to 1910 that runs right next to the lake. 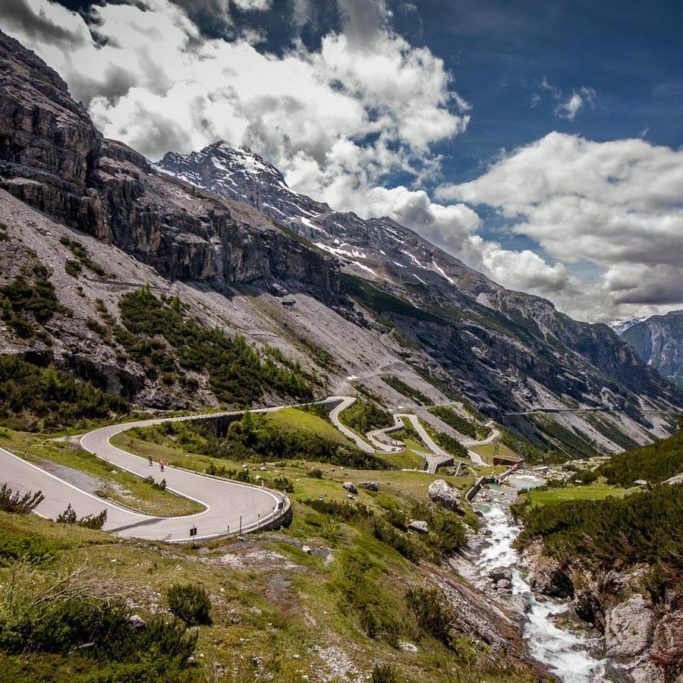 With hairpin bends, short tunnels carved out of the rock and a small picturesque waterfall, we reach Castro. We then carry on to Lovere, with its colorful and picturesque alleys, ancient churches and elegant squares. 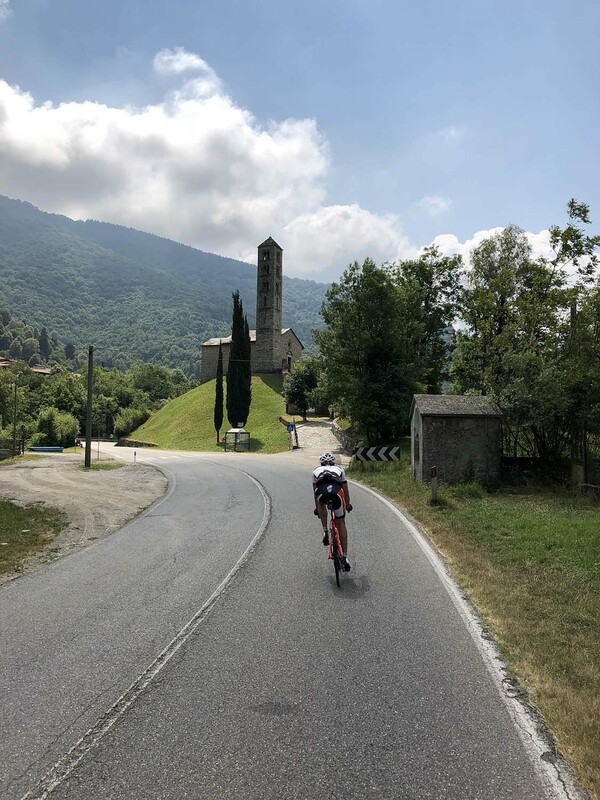 Continuing along the lakeside we reach Pisogne, with its ancient medieval centre and churches with frescoes by well-known artists like Romanino, before continuing through the villages of Marone and Sale Marasino to Sulzano where we will take the ferry to Montisola, together with our bikes. 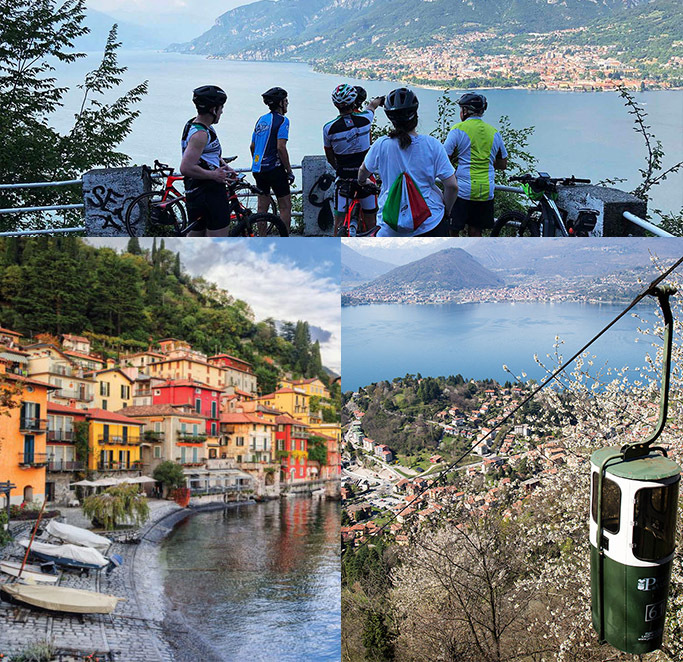 Montisola is the largest lake island in Europe making it an ideal destination for a day trip on our road bikes because cars are not allowed. Some of the roads that connect the many villages are right next to the lake, others higher up. Along the beautiful lakeside road called ‘Road of Olives’, with a romantic view of the nearby island of St. Paul, we get to Sensole, from where we carry on towards Menzino and Siviano, admiring the island of Loreto which, with its neo-Gothic castle and its inaccessibility to the public, since it is private property, is the subject of legends and stories. After Carzano it’s just a short final ride along the eastern side of the island, to the small village of Peschiera-Maraglio. Montisola became famous in 2016 when it hosted the celebrated project of Christo ‘The Floating Piers’ a temporary pedestrian footbridge across the lake, from Sulzano to Montisola and the private island of St. Paul. 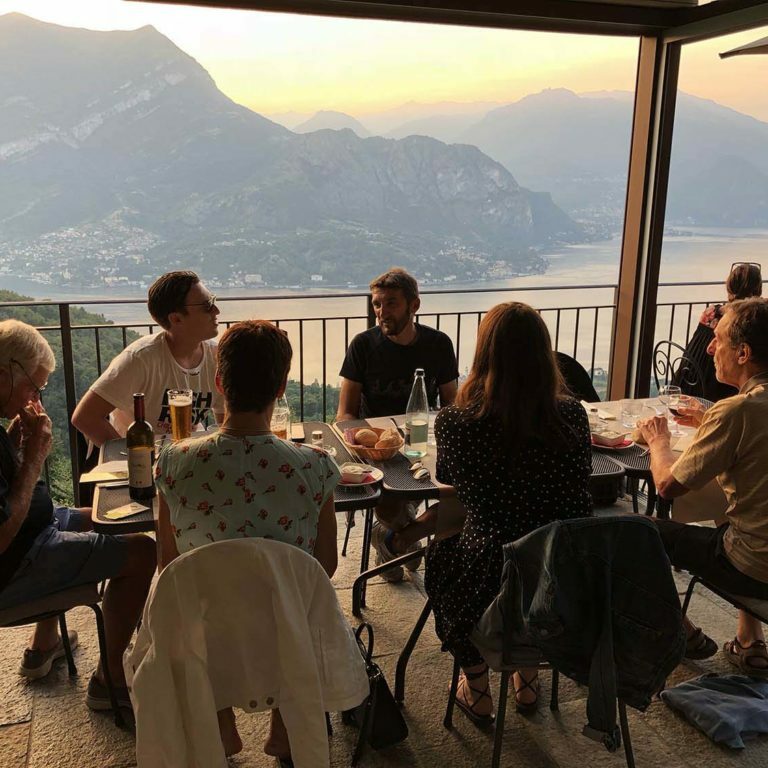 An ambitious and almost surreal work that enabled thousands of Italian and foreign visitors to “walk on the water” of Lake Iseo, enjoying it from a totally new perspective. 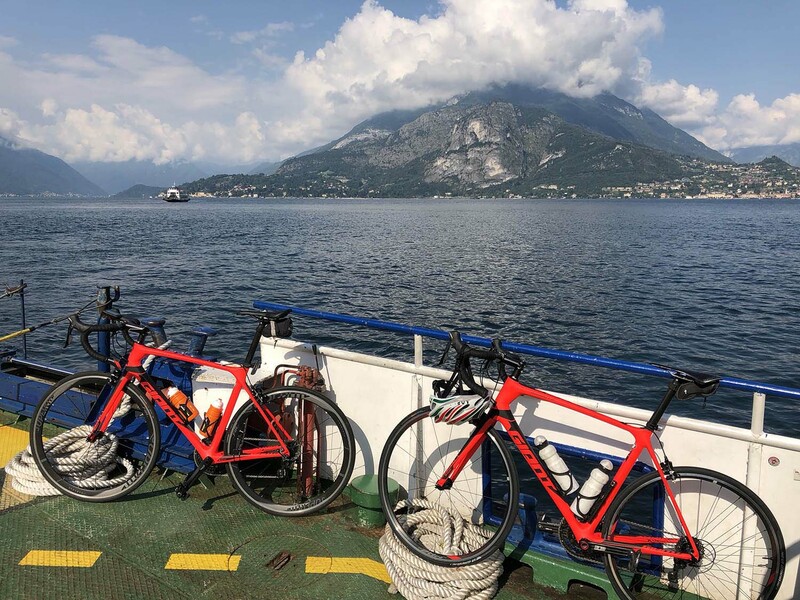 After taking the ferry back to Sulzano, we pedal to Iseo, the final destination of our day’s cycling, in no time at all. Breakfast and transfer to Arona. See you on the next tour!